Rare Disease Day 2016 is around the corner! 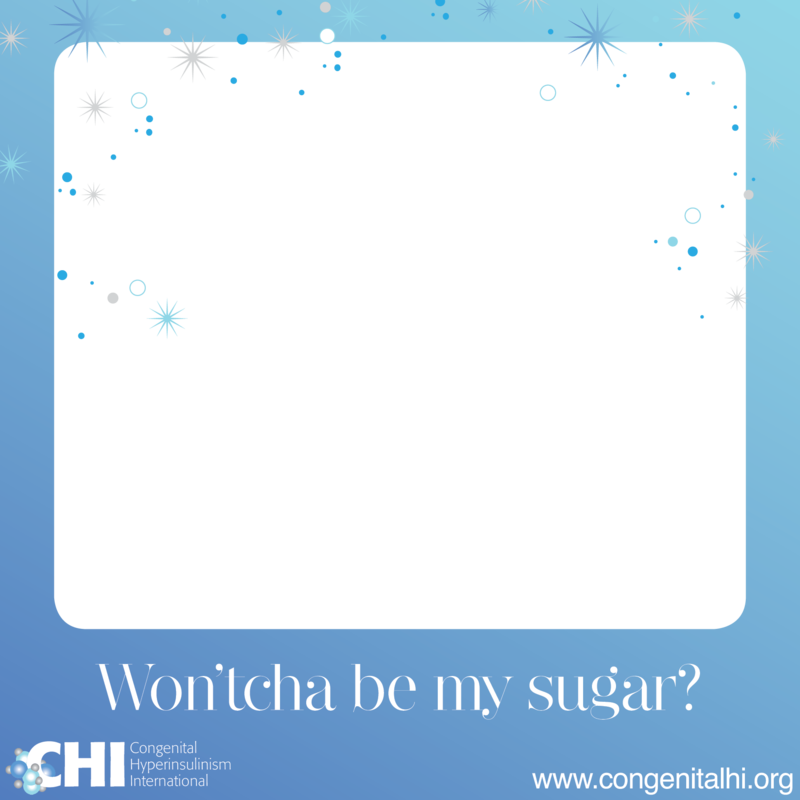 Let’ share our Won’tcha Be my Sugar photos on Facebook, Twitter, and Instagram accounts in February and raise awareness of HI to save lives, end brain damage, and advocate for better treatments. Let’s also share our stories. 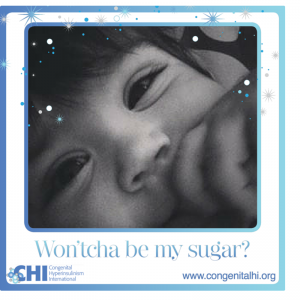 The global theme this year is “Patient Voice.” Let’s make our HI voices heard and share our sugar baby photos. We hope everyone who participated last year will do so again, and that anyone who didn’t get a chance last year does so this year. For those who want to participate, please send in your children’s photos in a Won’tcha Be my Sugar frame to jraskin@congenitalhi.org. Please also send a brief message that you would like to share with the world about your sugar baby or HI. 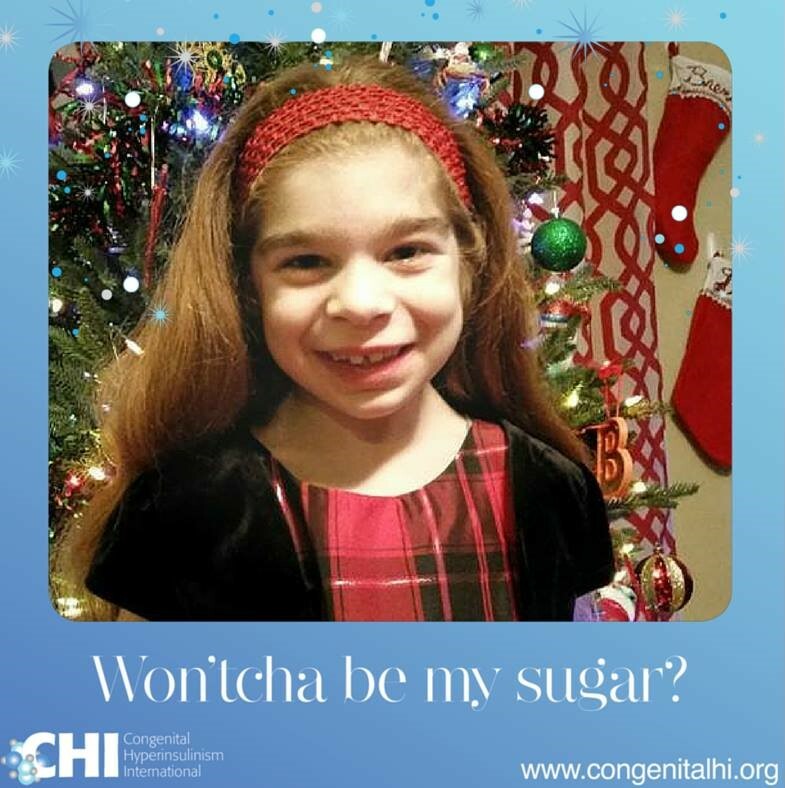 Please also include the sentence: I give CHI permission to share my child’s photo on the CHI Facebook Page, CHI Twitter account, and CHI Instagram account. 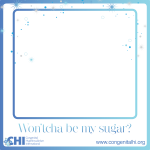 Instructions on how to create your Won’tcha Be My Sugar photo are below. If you prefer, we can put the photo in the frame. 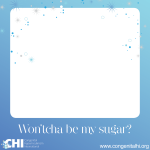 Just send a square photo to us at jraskin@congenitalhi.org. For those who participated last year, you can send a new photo to participate again! 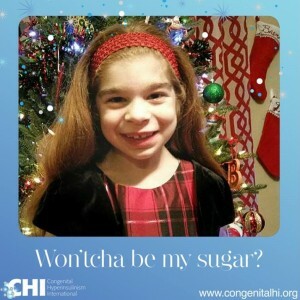 On the day your child’s photo appears, please share it with your family and friends, so we raise more awareness! •	Go to “Start a new design” page. •	Click on “uploads” with little picture of an arrow on left side of the screen. 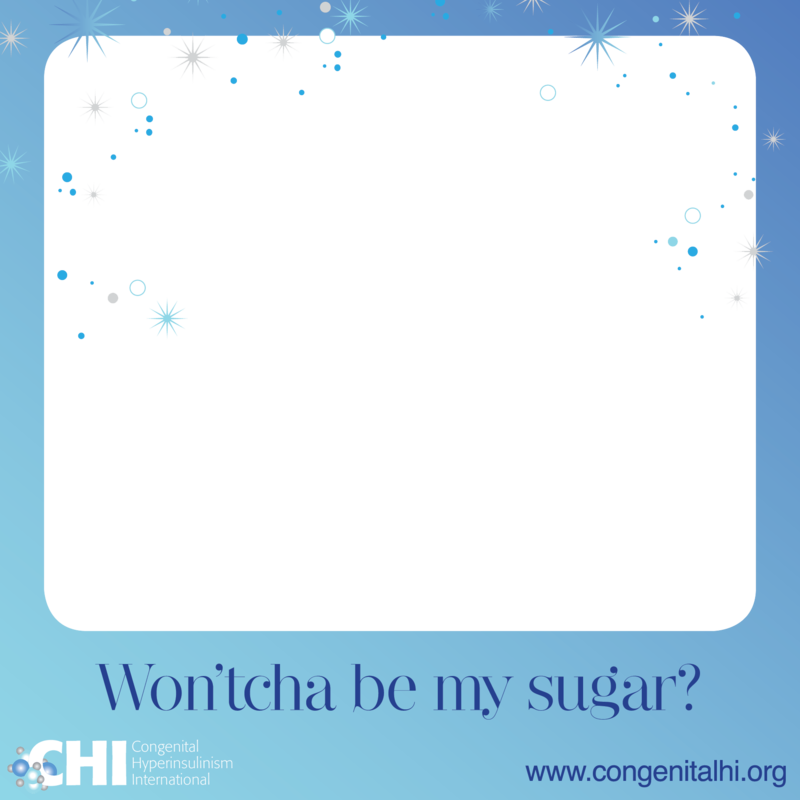 •	Upload the “Won’tcha be my sugar frame” you have selected for your photo. •	Upload a square photo of your child. •	Double click on the photo of your child into the white square on the right. 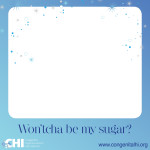 •	Double click on the “Won’tcha be my sugar” frame. •	Make sure the frame covers the photo. If you need to crop out some of the white around the photo or frame, you can do this in Canva or after you have downloaded with your own photography software. •	When you are satisfied, click “Download.” This choice is above your photo. •	The photo will be downloaded to your computer. •	At this point, you may still want to crop out some white, if there is some around the frame. 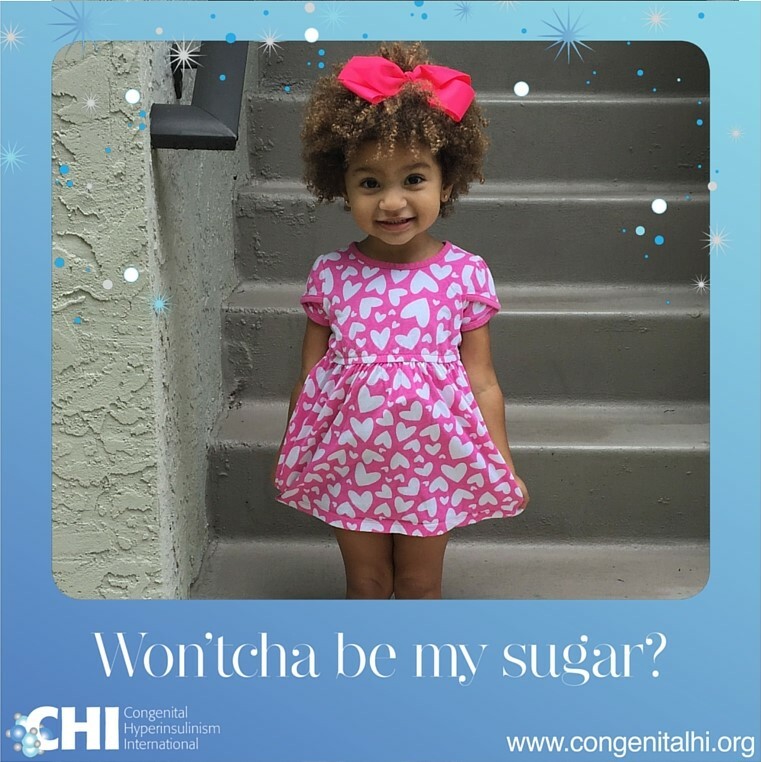 •	Send the photo to jraskin@congenitalhi.org and we will post between now and March 15. Here’s Brenna from last year’s Rare Disease Day campaign! And here’s Emi from last year’s Rare Disease Day campaign!